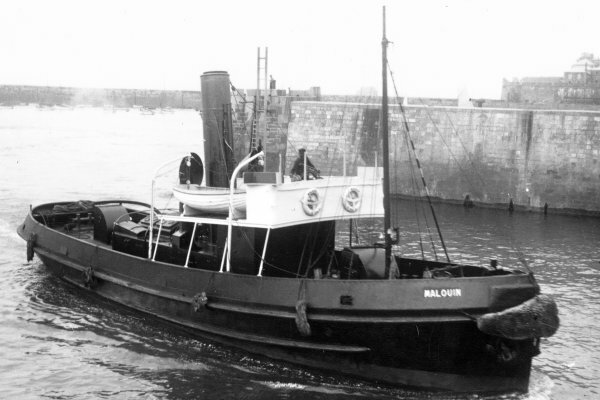 The Malouin was a tug built in St Quentin Shipyard in Nantes in 1918 under the name of Rio. She developed a power of 250 HP. Under the name Nemesia, she was assigned to the maintenance of the port of Saint-Malo and its landfalls. On arrival of the "Compagnie des Abeilles" in Saint Malo, it was renamed Malouin. During World War II, it was seized by the Germans. Restored to the end of the war, she will be withdrawn from service in 1955 and demolished in Le Havre.